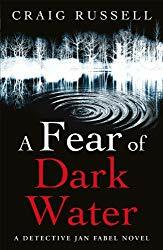 Head of Hamburg’s Murder Commission, Jan Fabel is used to the dead, but when a routine enquiry spirals out of control he finds himself on much closer terms with death – his own. As he struggles to process this experience, his first case comes back to haunt him: Monika Krone’s body is found at last, fifteen years after she disappeared. Monika – beautiful, intelligent, cruel – was the centre of a group obsessed with the gothic. Just as a major environmental summit is about to start in Hamburg, a massive storm hits the city. When the flood waters recede, a headless torso is found washed up. Jan Fabel is a troubled man. His relationships with the women in his life are becoming increasingly complicated: his partner, Susanne, is looking for a deeper commitment. His daughter is considering joining the police and his ex-wife holds him responsible. 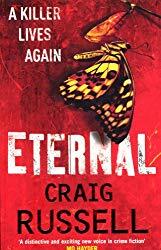 If that weren’t enough, after a gap of ten years, a female serial killer – the Angel of St Pauli – again makes the headlines when an English pop star is found in Hamburg’s red-light district, dying of the most savage knife wounds. Links emerge with a series of apparently unrelated events. A journalist murdered in Norway. The death of a Serbian gangster. And a long-forgotten project by East Germany’s Stasi conceived at the height of the Cold War, involving a highly-trained group of female assassins, known by the codename Valkyrie. Fabel’s hunt for the truth will bring him up against the most terrifyingly efficient professional killer. The ultimate avenging angel. The Cologne police know a woman is going to die. They know the day it will happen. And they’re powerless to stop it. They call on an outside expert: Jan Fabel, head of Hamburg’s Murder Squad and Germany’s leading authority on serial killers. 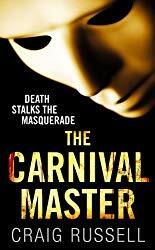 Fabel is on the point of leaving the police for good, but Carnival in Cologne is a time when the world goes crazy, and he is drawn into the hunt for the Carnival Cannibal. What he doesn’t know is that he is on a collision course with a crack special forces unit from Ukraine and a disturbed colleague with a score to settle. 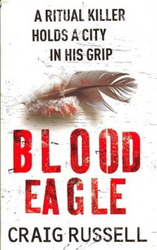 Fabel finds himself on a trail of betrayal and vengeance, violence and death. And once more he faces his greatest enemy. The true Master of the Carnival. Two high profile victims – a former Left-wing radical turned environmental campaigner and a geneticist researching the possibility of inherited memory – are found murdered within 24 hours of each other. Both men have been scalped. Forensic tests reveal that single red hairs left at each scene belong to neither victim, but were cut from the same head – twenty years earlier. Jan Fabel and his murder team find themselves under political and media pressure to track down a killer whom the press has already christened ‘The Hamburg Hairdresser’. Connections in the victims’ pasts begin to emerge, but Fabel’s team is working against the clock. Fabel is caught in a web of intrigue, obsession and revenge that seemingly spans sixteen centuries.He must discover the crucial link between an ancient mummified body, a long-disbanded terrorist group and its infamous leader and a killer who believes he has been reincarnated to exact a terrible revenge on those who betrayed him in a previous life. 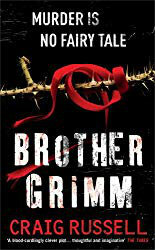 Jan Fabel, of the Hamburg murder squad, struggles to interpret the twisted imagery of a dark and brutal mind. Four days later, a man and a woman are found deep in woodland, their throats slashed deep and wide, the names ‘Hansel’ and ‘Gretel’, in the same, tiny, obsessively neat writing, rolled tight and pressed into their hands. Two women are killed in the same horrific, ritualistic manner. The murderer taunts the police with e-mails. It seems clear that a serial killer is at work, selecting victims at random and living out some twisted fantasy. 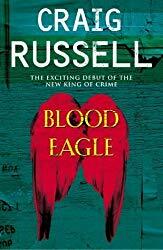 But, as Jan Fabel and his murder team investigate further, nothing is as it first seems. 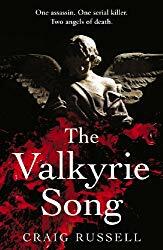 They are drawn into a dark half-world of Viking myth and legend, of obscure religious cults, of political intrigue and of a violent struggle to seize control of the city. And as Fabel desperately races to track down the killer before more killings take place, he and his team come face to face with a cold, brutal menace they could never have predicted. A greater evil than they could ever have imagined. 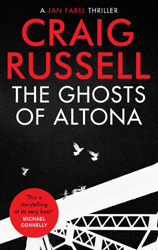 Russell scores equally highly with his atmospheric portrayal of Hamburg and its dark river Elbe, as well as with the intelligence of his plots.